Let’s Stand Together against CyberShock! CyberShock! There is a cyber-attack attacking our cyber networks and our national essential services! Are you ready to stand together against CyberShock and defend THE NATION? In our highly connected internet and social media networking lifestyle today, with many IT gadgets and running a web of technology lifestyle. The importance and significance of Cyber Defence, education and awareness just got even bigger and to be a part of our Total Defence and National Security. 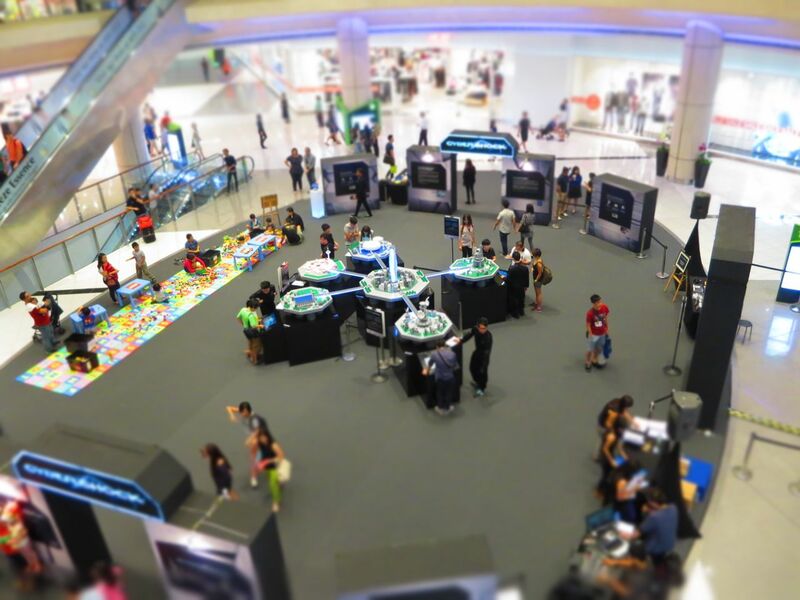 CyberShock is a fun and interesting event that aims to awaken Singaporeans to the likelihood of a cyber-attack affecting our lives in Singapore. 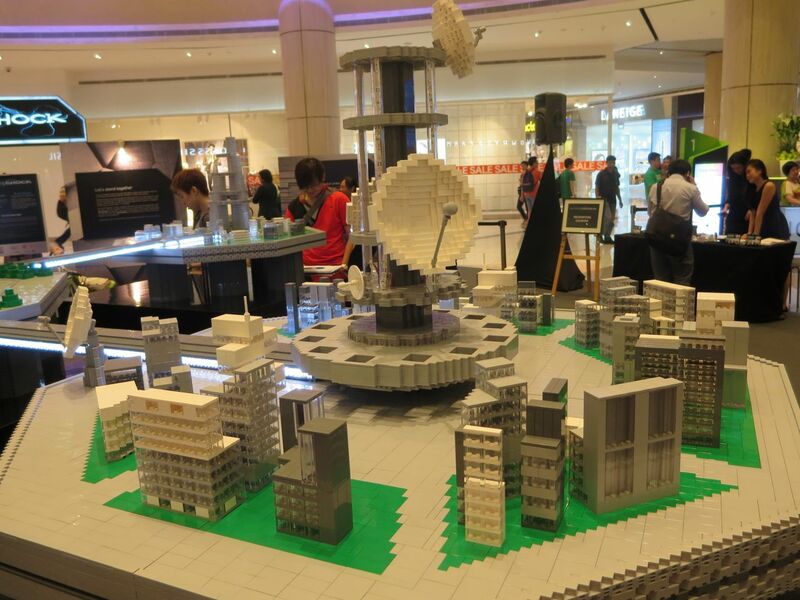 This event bridges the gap between the virtual and physical worlds with the help of a LEGO city called THE NATION and a digital game. National Security is an abstract concept that encompasses many different things, Cyber Defence/Cyber Security is just one of the pillars of National Security. 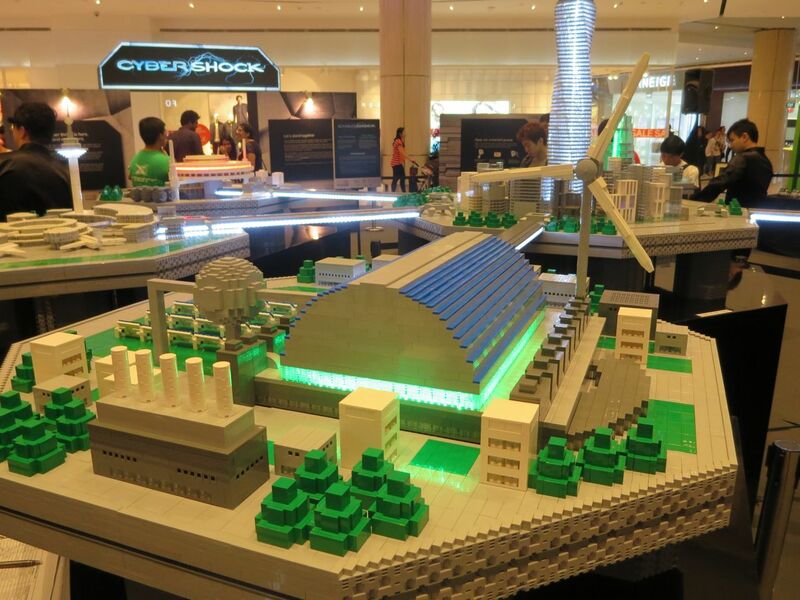 At the CyberShock event currently held at Suntec City West Atrium, there are over 168,277 LEGO pieces that forms THE NATION , comprising of The City Centre with five essential services namely (1) The Airport, (2) The Water Works, (3) The Federal Bank, (4) The Telecommunications Centre and (5) The Electricity Board. 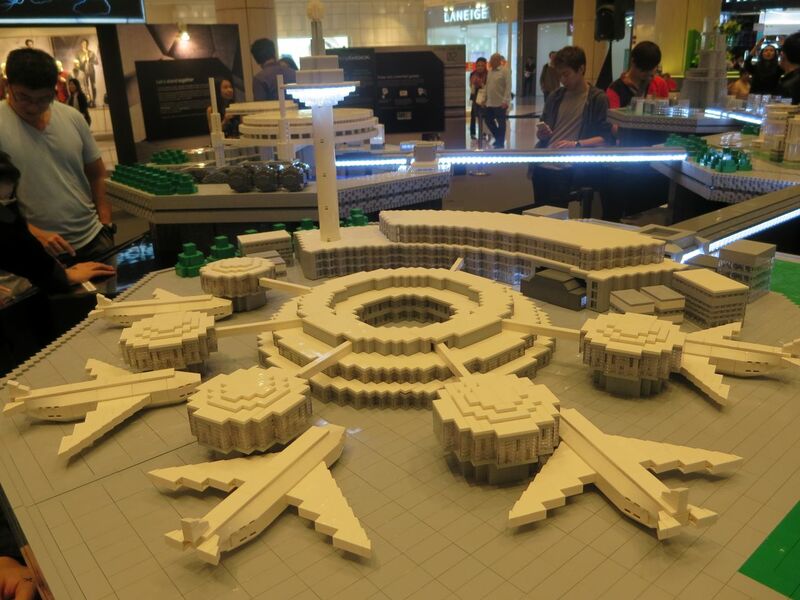 Being a LEGO fan, I really loved how the LEGO was used to build THE NATION! Once you are at CyberShock, play the various games there! By simulating a cyber-attack on essential services within a fictional environment, the game echoes the rallying cry “Let’s Stand Together”, as players solve a variety of puzzles to restore THE NATION’s five crippled essential services. Educational elements are also woven into the game in the form of booster questions. Oh, play the games, and you might win some attractive prizes, visit CyberShock and find out more! Share CyberShock with your friends, both online and offline, the importance and significance of Cyber Defence. Open up the minds of your family, relatives, loved ones and friends about Cyber Security, Cyber Defence and how everybody’s collective action “Let’s Stand Together” can help to prevent a cyber-attack! Given our current sophisticated and social media connectivity lifestyle, we are always on our smartphones, tablets, laptops and desktops, both at work and leisure. Cyber Security affects everybody and it is not just the role of the Government to protect and defend our Cyber Security. You can play a part too and this is the time to share and Pass It On, the knowledge, importance and significance of Cyber Security and Cyber Defence! 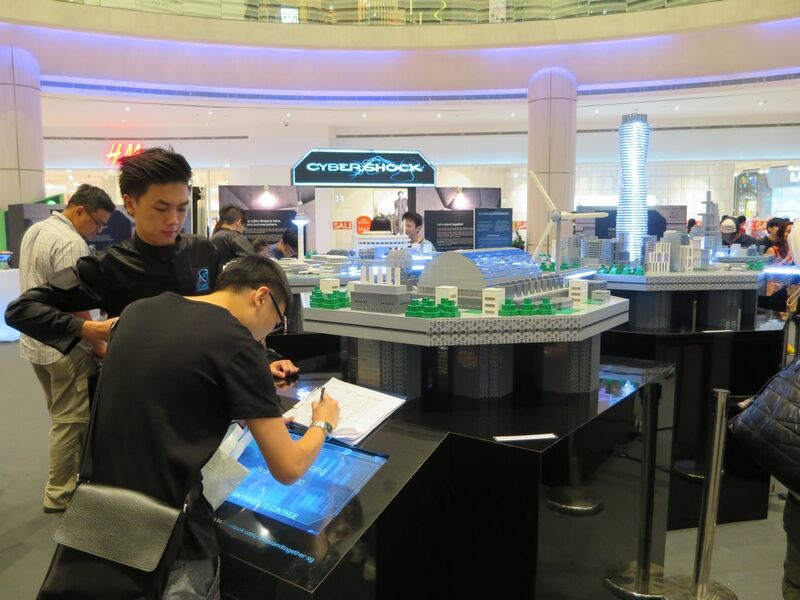 Share it with your friends, drop by Suntec City West Atrium and visit CyberShock! For the Parents, do bring your children down to CyberShock, share with them and let them understand more about Cyber Defence. Remember! Everybody plays a part in Cyber Defence, no matter how big or small. Let’s Stand Together against CyberShock and build a very strong Cyber Defence and Cyber Security! Welcome to Halloween Horror Nights 3! !